Whether you have started thinking about the renovation of your home or you are planning to construct a dream home for yourself, choosing the right doors for your home is a crucial task. The doors play a vital role in embellishment of your home’s interior. Once you get to see in the market, you will find an abundance of doors to choose from. In fact, selecting the perfect door for your home requires a great deal of knowledge as well as impeccable aesthetic sense. If you are confused about choosing the types of doors to be installed in your home, you should hire the services of a professional interior designer in Lahore such as Amer Adnan Associates. The Hinged Doors – They are most common type of doors, which are usually seen at homes and offices across the world. They come with one end mounted on the hinges whereas other one comprising the lockset. The hinged door comes as a whole slab. All you need to do is to attach hinges and place it in the passage between the two rooms. The Bi-fold Doors – The Bi-fold doors are one of the most convenient kinds of doors and are usually placed at large passages. This kind of doors is usually placed for partition between the two rooms as well as for home entrances. 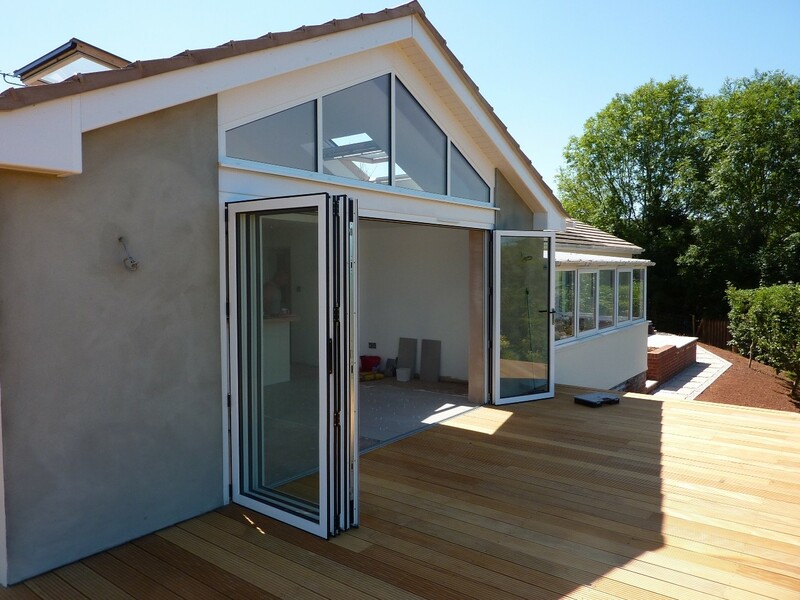 Some people also use Bi-fold doors as entrances to the rooms, especially in bigger houses. This set of doors hinged together helps in perfectly utilizing the passage, since the doors can be folded easily upon requirement. The Bypass Doors – They are also known as the Sliding Doors. The bypass doors are perfect for wide openings especially in living rooms, master bedrooms and drawing rooms etc. The best feature of sliding doors is that they do not swing but slide on a track. This saves a lot of space, which is required for opening a hinged door and is far more convenient than any other kind of door in residential setups. The popular Lahore architects and interior design consultants strictly recommend the use of sliding doors at homes to save space and grab maximum convenience. The French Doors – If you have an artistic mind and are seeking something dramatic then French doors are an ideal choice for you. They are also placed on the hinges just like hinged doors but they swing towards each other. The French doors are perfect choice if you want an unhindered view when they are opened. The French doors are an ideal choice for people who want to deploy a touch of class to their homes. Nowadays, these were the most commonly used interior doors at homes across Pakistan. However, there are many other kinds of doors too, which can be used at homes, as per your preference.